Here’s your Ultimate Blueprint to burn unwanted fat every second of the day, slow the signs of aging, and detox your body… for a leaner, toned, healthier & younger you! The foreword for this program was written by Dr Jodie-Ann Senior, M.M.B.S., F.R.A.C.P. (Mon). Internationally respected cardiologist, heart failure and heart transplant specialist. Your Ultimate Blueprint to burn unwanted fat every second of the day, slow the signs of aging, and detox your body… for a leaner, toned, healthier & younger you! ★ The Diet Fix – End your weight loss struggles and destroy your stubborn weight for good. Say "good-bye" to dieting thanks to this fat burning, age rejuvenation diet make-over. ★ Success Planning – Valuable never fail plan with daily progress tracker to get you an amazing body. You’ll know exactly how to plan your days to win the weight loss battle. Watch the weight fall off! ★ Done-For-You Nutrition & Meal Plan – Take the guesswork out of what to eat and drink. You get flavorful and easy to make breakfast, lunch, dinner & snack recipes, with images. They’re tailored for fast fat loss, to slow aging, and restore your youth & vitality. ★ Done-For-You Grocery Shopping Lists – Don’t waste time wandering through isles of fat producing foods! Grocery shopping has never been easier with our pre-prepared lists so you can eat your way thin! Use together with the Nutrition Plan. ★ Dining Out Fat Loss Secrets – Take advantage of our secrets to make losing weight a breeze when you’re socializing. NO MORE living in fear and being stuck at home because you’re trying to trim the fat! 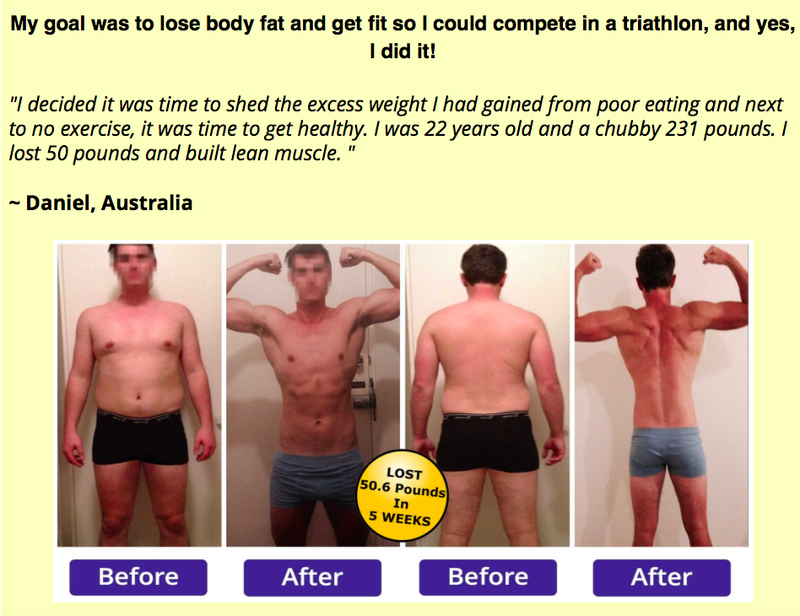 ★ MAX-F Workout Training System – Burn fat faster and in no time with these revolutionary metabolism-boosting workouts. These Safe and Fast workout programs suit everyone with gym, home and body weight exercises for Beginners to Advanced.